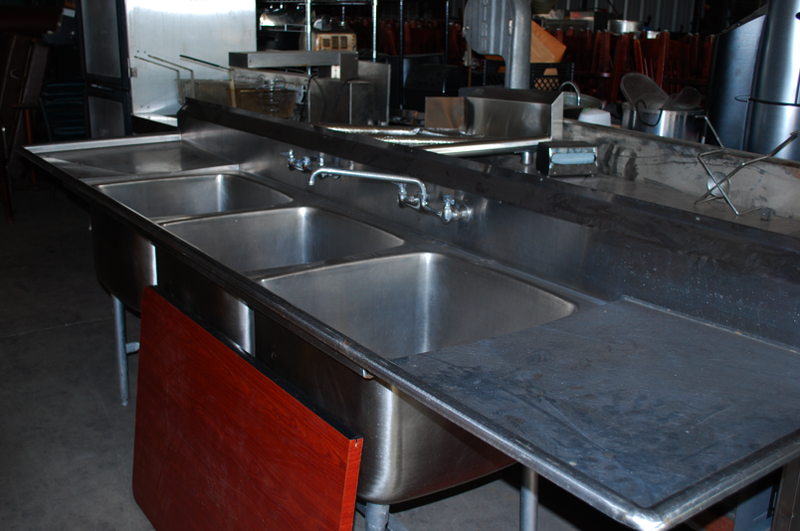 One Fat Frog Restaurant Equipment has a large selection of used sinks available at seriously discounted prices. If you’re in the market for a used single sink, double sink, or triple sink, come on down to One Fat Frog Restaurant Equipment and check out the selection! One Fat Frog Restaurant Equipment is getting used sinks in all the time, and selling them just as fast. Used sinks are a very popular item so act fast if you are interested in a used sink. One Fat Frog Restaurant Equipment has used sinks for restaurants, bars, grilles, pizzerias, food trucks, bathrooms, movie theaters, gyms, delis, diners, etc. All of the used sinks in stock at One Fat Frog Restaurant Equipment have been cleaned, refurbished, and tested by our staff of in-house technicians and each used sink comes with One Fat Frog Restaurant Equipment’s 30 day parts and labor warranty. One Fat Frog Restaurant Equipment welcomes quick cash deals and package deals on the entire stock of used restaurant equipment – including used sinks. One Fat Frog Restaurant Equipment can also get you financed for all of the used commercial restaurant equipment you need – including used sinks.